Launch Party for Mission Improvable! ​Registration fee goes up $25 after Dec. 4. Kristin Horrigan will be facilitating Mission Improvable this year! Contact Improvisation is about responding in the moment, playing with the possibilities, creating with what we find, and using our full physical capacity to navigate the situations that present themselves. Within this form, we have tremendous freedom to move our bodies and to discover different dynamics of dances. But, what if we are holding ourselves back from the full range of possibilities in our dancing, in ways we do not even realize? 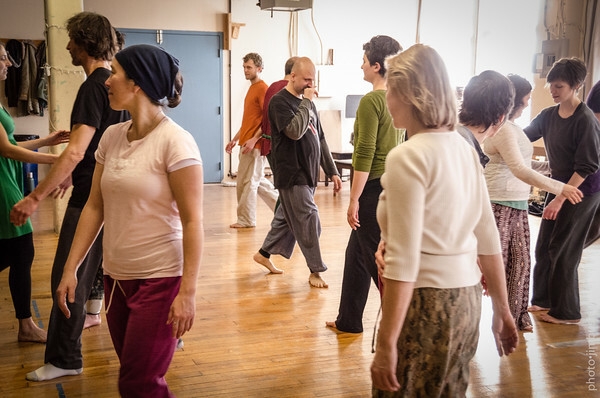 Gendered patterns of movement and interaction play a larger role in CI dancing than one might think, given that CI is a form without any proscribed gender roles. In our days together, we will seek to deepen our CI dancing, strengthen our technique, and expand the range of dances we have by discovering how gender lives in our movement and building strategies to undo the ways it limits us. 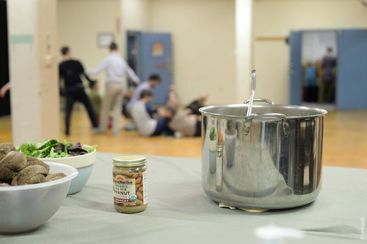 The workshop includes all meals, and several options for performance. CLASS & JAM Wednesday evening, January 4!!! Out-of-town dancers can be hosted by in-town dancers. Work-study and scholarship options are also available. Bonus jam and class! All workshop participants are welcome to an opening jam on Wednesday January 27. All Meals included in participation fee!